If you have fewer items to move to your new home in France or you have plenty of time to plan your removals, our part-removal services can work out to be a cheaper alternative to our full removals service. By combining several customers’ loads on one high-capacity truck, we are able to save time and reduce transport costs – and we pass these savings onto you. And if you’re in the same area as other customers we can offer an even better rate on our part-load removals service! Whether you’re moving a single piece of furniture to France or a larger load, our experienced removals team will take care of your possessions as though they were our own. Plus, when your items are loaded onto our truck they are entered into our computerised inventory system and allocated an inventory number, a copy of which is given to you and retained by the driver. This ensures that your possessions cannot be mixed up with those of another customer, even though their possessions are on the same truck as yours. In order to take advantage of our part-removals service, you need a certain degree of flexibility with regards to the collection and delivery of your possessions. This is because items are loaded in the correct order of delivery in France, and it’s not always possible to determine exactly when our removals team will get to your location. If you have any questions about our part-removals service, please do not hesitate to call us on 01622 296237. 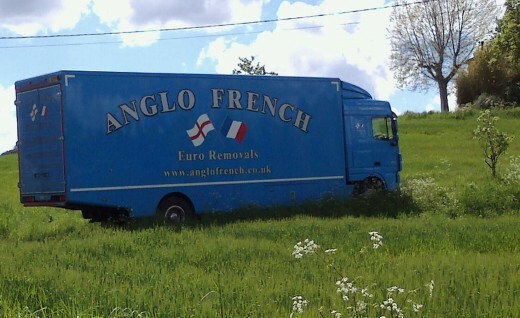 As well as our part-removals service, Anglo French also offer a number of other French removals services, including secure containerized storage, car and motorcycle transport and packing services. If you wish to pack items yourself, we also supply all the necessary packing materials such as boxes and bubble wrap. Whether you're looking for a removal to Paris or any other place in France, for more information, send us an email by filling in the form below, request a free quote or call us on 01622 296237.